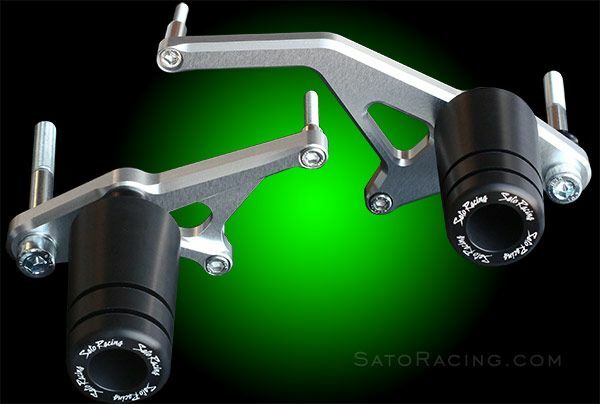 The robust CAD designed brackets allow installation on the Ninja 1000 without any fairing modifications or cutting. CNC machined from the finest billet aluminum, with stainless hardware provided. Delrin sliders are designed to provide protection by absorbing energy and sliding. Clean simple good looks and easy installation.